Maintaining the safety of Queensland buildings involves many factors, including the adequacy of existing fire safety systems. It is important to note that investigations by the Non-Conforming Building Products Audit Taskforce are in addition to an already strong building safety system in Queensland. Mandatory fire safety systems in commercial and accommodation buildings may include fire alarms, sprinkler systems, and evacuation requirements. Hospitals equally have comprehensive emergency safety systems and measures in place. If issues are identified during the audit process, the Taskforce will work closely with building owners and local authorities to explore solutions. While the risk of an incident is low, if you have concerns about a building, please contact the QBCC on 139 333. The Safer Buildings website has been established to help identify buildings in Queensland that may have potentially combustible cladding. The Queensland Building and Construction Commission (QBCC) is contacting some building owners in Queensland who may be required to register and complete the combustible cladding checklist as part of the Safer Buildings website. Building owners that have not been notified must also register. On 1 October 2018, the Building and other Legislation (Cladding) Amendment Regulation 2018 came into effect compelling building owners to complete the combustible cladding checklist to determine the type of material used on their building and whether any further assessment is required. Technical information (PDF, 1.79MB) has been developed to provide owners of particular private buildings, building industry professionals and fire engineers with guidance on how to meet their respective obligations under the regulation to complete the combustible cladding checklist. This information supplements and extends the guidance information available on the Safer Buildings website. For more information read the Safer Buildings for Queensland summary (PDF, 610KB) or contact the QBCC on 139 333. What is the Audit Taskforce? On 30 June 2017, the Queensland Government established an Audit Taskforce to conduct a targeted investigation into buildings using Aluminium Composite Panel (ACP) cladding and other possible combustible products. The Taskforce is made up of representatives from HPW, QFES and the QBCC. The Audit Taskforce is working to identify government and privately-owned buildings of possible concern. Work was prioritised, starting with hospitals, aged care facilities, accommodation buildings, high occupancy public and private buildings, and high-rise office buildings. retail facilities and office buildings greater than two storeys or greater than 3,000m2 overall building size. Building owners may need to seek the services of an industry professional such as a fire engineer. In some cases, mitigation and remediation work may be necessary. Non-Conforming Building Products (NCBPs) can cause serious health and safety issues for Queenslanders. NCBPs are building products and materials that are not safe, not of acceptable quality, do not meet Australian standards, or are not fit for their intended purpose. In some cases, a product technical material may contain false or misleading statements. This Australia-wide issue is complex, and affects industries including manufacturing, importation, retail and construction. All jurisdictions across Australia have undertaken audits to understand the extent of potentially combustible cladding incorporated within their respective built environments. The national Building Ministers’ Forum (BMF) has been active in addressing the inappropriate use of potentially combustible cladding materials in Australia. On 6 October 2017, the BMF agreed to use the available laws and powers in their respective jurisdictions to prevent the use of combustible cladding in a range of buildings depending on their classification under the building code and number of storeys. In April 2018, the BMF reaffirmed their commitment to prevent the inappropriate use of potentially hazardous aluminium composite panel (ACP) cladding on Australian buildings. Consultation with industry will soon commence on possible options for a new system of permanent labelling for ACPs. In addition, the BMF has made recommendations to use available laws and powers to prevent the use of ACP. These are just some of the BMF actions contributing to the improved safety of buildings across Australia. For more information on the BMF visit www.industry.gov.au/BMF. The Building Ministers’ Forum (BMF) recognises the public safety concern and clear risk arising around the use of cladding that does not comply with the National Construction Code (NCC). The Senior Officers’ Group (SOG) has consulted with industry on a discussion paper containing four possible options for a new system of permanent labelling for cladding products. Outcomes from the consultation were presented to the BMF at the last meeting on 10 August 2018. The BMF has agreed to ask Standards Australia to develop an Australian Standard for permanent labelling of aluminium composite panels to be mandated through the NCC. Read the August 2018 BMF communique (PDF, 98KB). Read the Permanent Labelling System for ACP products discussion paper (PDF, 257KB). On 17 May 2018, the first Non-Conforming Building Products Audit Taskforce Status Report (PDF, 3MB) was tabled in parliament. The report was prepared by the Independent Chair of the Taskforce, the Honourable Terry Mackenroth. The report is the result of Taskforce investigations into the use of non-conforming combustible cladding on government and non-government (private) buildings in Queensland and combines the expertise of the Department of Housing and Public Works (HPW), Queensland Fire and Emergency Services (QFES) and the Queensland Building and Construction Commission (QBCC). At the heart of the problem is the use of a thin layer of combustible thermoplastic material called polyethylene (PE) sandwiched between two sheets of aluminium which, when fitted externally to buildings, can contribute to fire spread. Taskforce investigations have resulted in six recommendations to address this issue which are supported by the Queensland Government. Read the NCBP Audit Taskforce Status Report (PDF, 3MB). Use of façade cladding in the future (PDF, 147KB). Queensland is leading national work on ways to address the issue of NCBPs, whether domestically manufactured or imported. The BMF, via its Senior Officers’ Group (SOG), has investigated the issue and endorsed a plan (PDF, 1MB) to help address the problem. The SOG is comprised of senior officers from each state and territory as well as the Commonwealth. Queensland’s Department of Housing and Public Works is the current secretariat for the SOG and is also the Chair. The Deputy Chair is Victoria’s representative. The BMF has asked Queensland to lead the implementation of the strategy that looks at ways to improve state and territory building regulatory frameworks. On 24 August 2017, legislation addressing NCBPs was passed by the Queensland Parliament and commenced on 1 November 2017. This legislation was the first of its kind in Australia. expands the compliance and enforcement powers of the Queensland Building and Construction Commission, and the responsible Minister. To assist industry in meeting their obligations under the amended Queensland Building and Construction Commission Act 1991, HPW has prepared a Code of Practice (PDF, 132KB). The Queensland Government has been dealing with the issue of potentially combustible cladding since the inception of the Non-Conforming Building Products Audit Taskforce in June 2017. The Princess Alexandra Hospital was the first government-owned building found to contain combustible external cladding. The following list represents a summary of Government-owned buildings where combustible external cladding has been confirmed within the facilities’ facade. It is important to understand that these facilities are deemed safe to occupy whilst remedial works are being undertaken. Interim risk mitigation measures have commenced with staff and building occupants notified. The facility is subject to heightened Queensland Fire and Emergency Services (QFES) response. Where remedial works have been completed to the satisfaction of a specialist fire engineer, such facilities will be removed from the schedule of notified Government buildings. 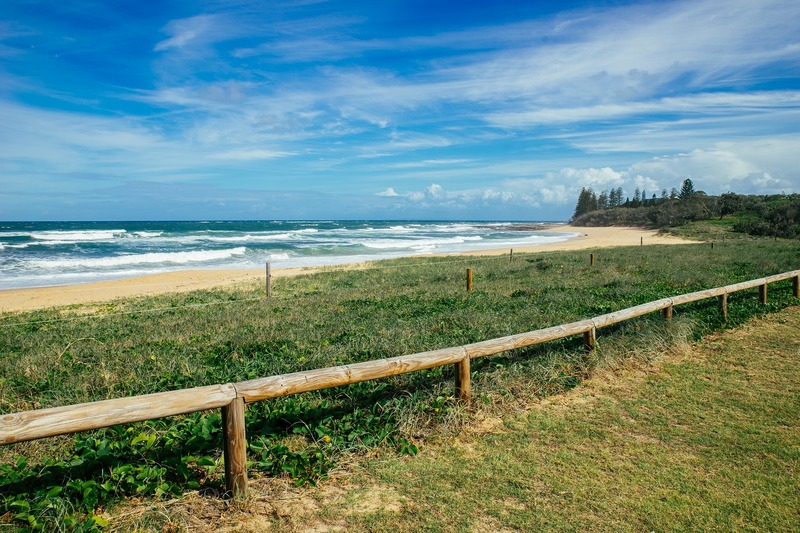 It is the government’s priority to ensure the health, safety and wellbeing of Queensland residents and visitors where they live, work and visit. 1 October 2018 – the Building and Other Legislation (Cladding) Amendment Regulation 2018 came into effect compelling building owners to complete the combustible cladding checklist on the Safer Buildings website. 20 August 2018 – Safer Buildings website and combustible cladding checklist launched enabling building owners to complete a combustible cladding checklist. 27 July 2018 – The Building and Other Legislation (Cladding) Amendment Regulation 2018 was announced. 17 May 2018 – Non-Conforming Building Products Audit Taskforce Status Report tabled in Queensland Parliament containing six key recommendations to enhance public safety. 1 November 2017 – Queensland NCBP legislation commences. 24 August 2017 – Queensland Parliament passes a suite of NCBP-related legislative reforms – the most comprehensive building product safety laws in the country. 30 June 2017 – Non-Conforming Building Products Audit Taskforce established in Queensland to develop a risk-based approach to deal with potentially problematic buildings. 19 February 2016 – Outcomes of the SOG investigation were considered and given in-principle agreement by the BMF. The SOG released a consultation report (PDF, 1MB) to seek feedback on the best way to implement the strategies. The SOG is implementing these strategies (PDF, 845KB). 31 July 2015 – BMF established the SOG (PDF, 203KB) to form a national approach to address the issue of NCBPs. For more information about NCBPs, including how to report a potential NCBP, please visit the QBCC or the Australian Building Codes Board.